The uniquely charming hidden object game! Travel the world on the Enigma Express! Find the hidden objects, collect the clues and crack open the case! Discover intrigue, villainy and mystery in a grand adventure that will transport you back to a period of decadence and disaster… Investigating a suspicious bank robbery has landed you front and centre if an international crime spree. 8 mysterious objects have been stolen from a safe deposit box while all the money remains intact, and you’re hot on the trail of the culprits. As a rookie at the Blue Toad detective agency, you are joining renowned detective Hannah Dakota on the case of a lifetime. Together you’ll travel the world visiting stunning locations and challenging your sleuthing skills as you put an end to this wild goose chase in a hidden object mystery you’ll never forget! Theft, murder, poison and lies! What connects these strange, stolen objects? Who is behind this string of crimes? Stay vigilant detective… and beware, not everything is as it seems. 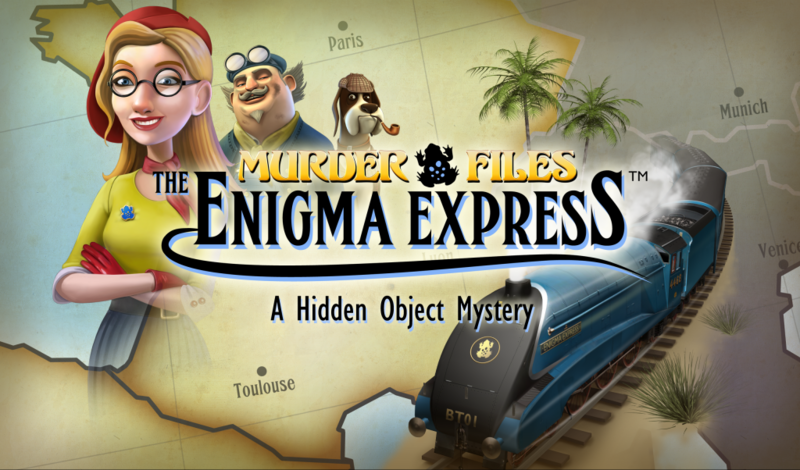 It is time to put the rookie cases aside and step on board the Enigma Express – find the hidden objects, collect all the clues and unravel the truth behind this conspiracy of crimes!